This Houston outdoor fireplace project is just one of many representations of our work on outdoor fireplaces. 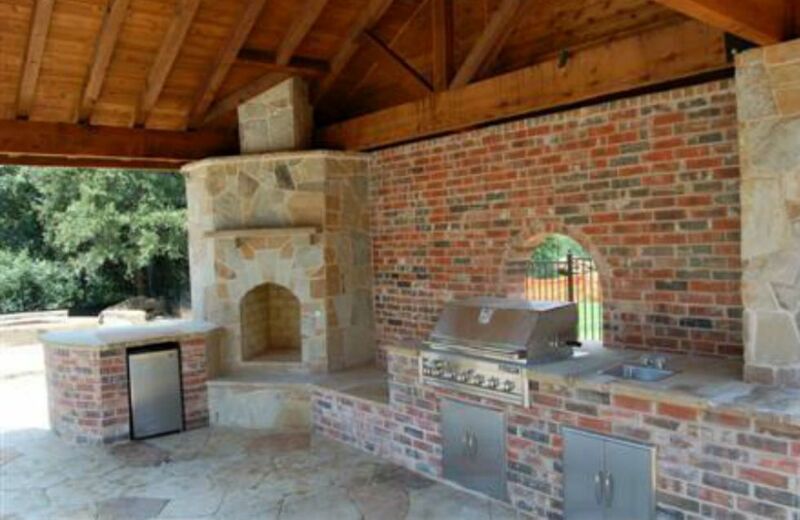 Here at Houston Outdoor Kitchen Pros, we can create just about any outdoor fireplace you can imagine! We can implement just about any material you can think of into your dream outdoor fireplace. All of our fireplaces are custom made to our customers liking. Check Out This Houston Outdoor Fireplace Project! Not only are all our products individual to our customer, we offer these custom outdoor fireplaces for the best price in the entire Houston area! If you don’t believe us, then just ask the owner of this outdoor fireplace who absolutely loves their fireplace! Only the highest quality materials are used in every single one of our outdoor fireplaces. Start making your custom outdoor fireplace today! Contact us for a free consultation and to learn more about constructing your outdoor fireplace!